On this lazy Saturday Brooke and I were having after recovering from our Christmas activities, we were both starting to get a bit peckish. 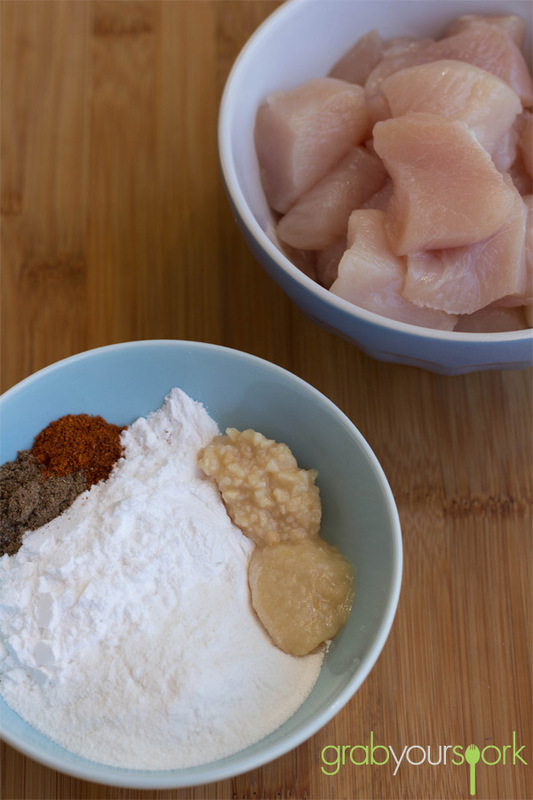 With Brooke being on holidays she has been feeding her obsession with Pinterest and came across a recipe for Chicken Pakoras. Chicken Pakoras are little deep fried pieces of chicken that are bursting with the flavours of India. The first time I even tried a pakora was at ours friend’s house that had recently travelled to India. They were delicious crispy bites, full of flavour however in lieu of chicken they used prawns. These flavour packed bites can also be made with a variety of vegetables including onion, eggplant, cauliflower, potato or even paneer an Indian cheese. These bites get their flavour punch from the garam masala which is an Indian spice mixture that typically combines; peppercorns, clovers, cinnamon, cumin and cardamom. All amounts are approximate in this recipe however you can adjust spices to suit your own taste. It is important to keep in mind that you may need to adjust the cornflour ratio also to accommodate the spices. To make the batter you need to mix the garlic, ginger, flours and spices together. The batter will be very dry, and you will need to add water gradually. To ensure a lighter batter, you need to beat the batter well. You want the batter to be semi dry and not watery. The batter will just fall off the chicken when you go to fry it, if it is too watery. To cook the chicken, cook in hot oil on a medium flame to ensure the chicken gets cooked thoroughly. Cook the chicken in batches and ensure the oil is at temperature each batch to ensure a nice crispy coating. Pakoras are best served hot and can be served with a mango chutney or good old tomato sauce! 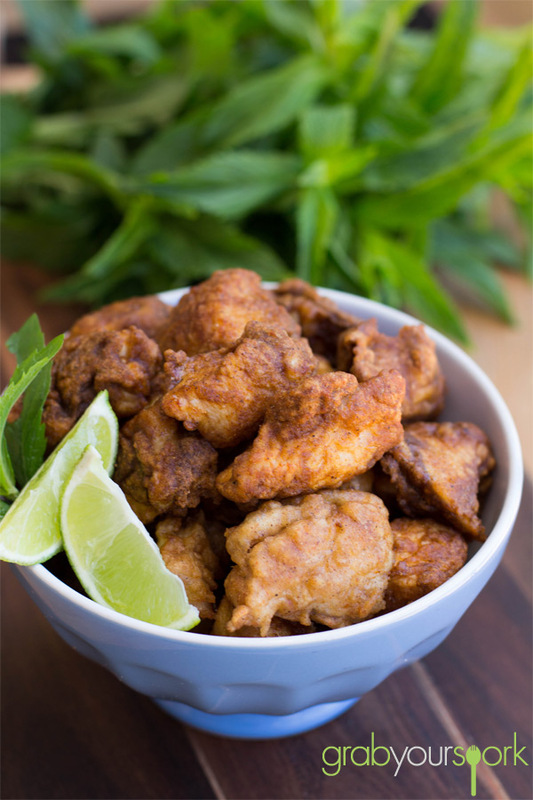 Chicken Pakoras are little deep fried pieces of chicken that are bursting with the flavours of India. 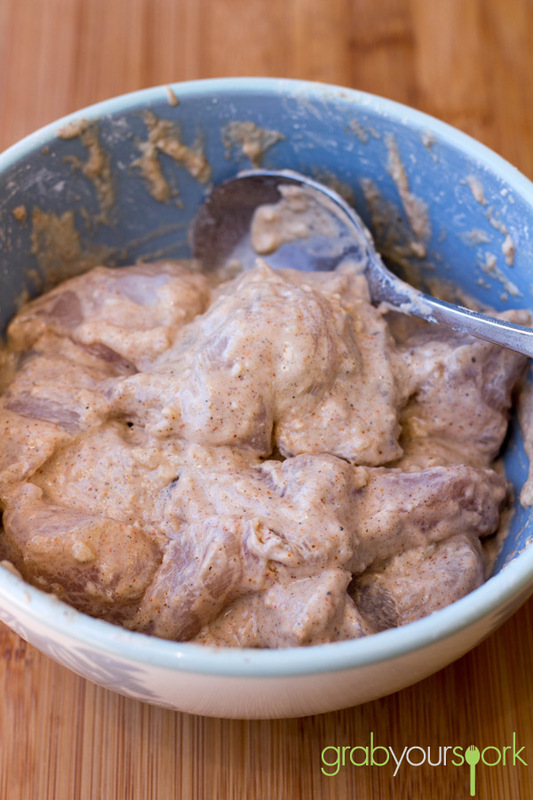 Place the ginger, garlic spices and flours a bowl and mix. Add chicken pieces, mix well. Gradually add enough water to make a batter of dropping consistency. Beat well. Trapped air in the batter makes pakoras lighter and crisper. 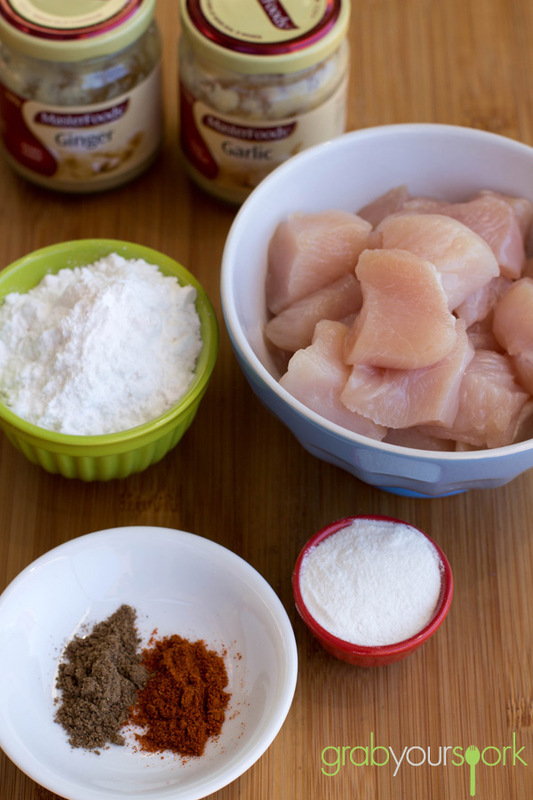 Allow the chicken to marinate for at least 30 minutes or longer. Heat oil in a wok. 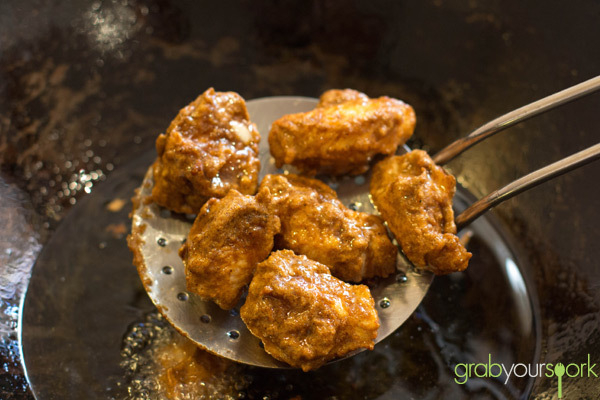 Oil is hot enough when a pakora dropped into the oil sizzles and rises to the top. Lift out with a slotted spoon and place on kitchen paper or old newspaper, to help. Serve hot with chutney / or sauce or choice.